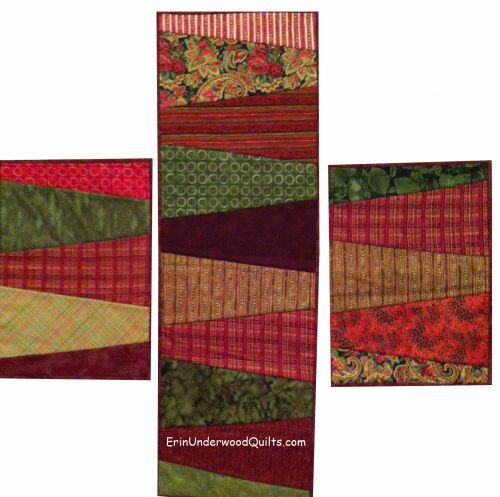 Quilt as you go! Make this two sided Table Topper in a flash and use it twice as much! Requires the Creative Grids 15-degree Triangle Ruler (Listed for sale in Erin's Store under Rulers and Other Gadgets).